A 2002 Gallop Poll showed that 41 percent of Americans (about 80 million adults) had undergone a profound “…experience or awakening that changed the direction of [their] life,” and there’s no reason to believe this figure is lower in other countries. These awakenings, also known as “peak” or “mystical” states, are experiences of expanded awareness—a form of Radical Awareness that empowers us to approach our life in a completely new way. People are held back from a full and vibrant life by anger and fear, by loneliness and self-criticism, by attitudes and behaviors that undermine their own happiness. But with Radical Awareness, we can experience a peace so strong it cannot be shaken, a love so enveloping every worry, every hurt, every resentment and fear dissolves into stillness. We can feel a comfort so complete no matter how rough life gets, we know that everything is manageable and all will be well. These experiences are within the reach of everyone. Radical Awareness: Five Practices for a Fully Engaged Life charts the path to making them a reality in every reader’s life. The book translates the transformational power of these common but extraordinary experiences into five workable practices. Together the Five Practices form a practical system that allows us to fully embrace our present and to navigate our future with freedom and choice. By engaging with life through the prism of the Five Practices, readers can turn all experience into spiritual growth and feel vibrantly alive regardless of the circumstances that surround them. Grounded in the wisdom of the Christian mystics, Buddhism and Transpersonal Psychology, Radical Awareness describes the psychology that underpins the issues and behavior patterns that hold us back from happiness, the happiness that comes from full engagement with life. The reader will identify themselves in the book’s pages and will recognize their role in shaping their own life circumstances. But Radical Awareness goes well beyond traditional goal setting and striving for success. It teaches the reader how to utilize their own spiritual nature and experiences so they can approach their life from an entirely different perspective; almost literally, with a new mind. From the vantage point of the Five Practices, spiritual awareness moves beyond theory and technique into the daily practice of spiritual living. Life becomes fuller, easier, more richly textured. If heaven can be described as a fully lived life, readers will have found the way to storm their particular heaven. The book is sprinkled with stories that illustrate the Five Practices in action. It also contains over forty exercises derived from the author’s almost twenty years of clinical practice as a breathwork therapist. 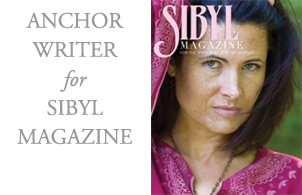 The stories and exercises allow the reader to put the Five Practices that comprise Radical Awareness into action in their own life. And for readers who do not currently have a spiritual practice, the book offers insight and guidance on how to choose a suitable technique such as breathwork, meditation or therapy. 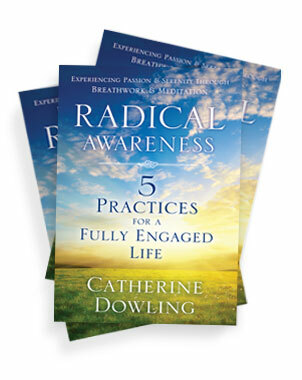 Radical Awareness: 5 Practices for a Fully Engaged Life is a remarkable book in its capacity to unlock – using specific practices and exercises, the true connections that can and should exist within all of us to the ‘oneness of life’.